“We are called to live faithful Christian lives in a vast, powerful, violent, non-Christian, pluralistic multifaith nation” (p. 125), Gushee writes in his conclusion to this “letter.” Looking first at our nation and world in 2016’s divisive and polarizing climate, Gushee insists Christians remember that our community of faith precedes any modern nation, including our own, and not be confused as to which is God. He then considers issues in our country that seem to have Christians on all sides, and asks us to discern the voice of faith from the voices of nationalism and not “identify current circumstances with eternal truths” (p. 34). Given that title of “letter,” I am reminded of the structure of the apostle Paul’s letter to the Corinthians, where Paul takes on various issues those Christians were living within their Roman culture, by critiquing the culture from the perspective of faith. Gushee holds the tension of living in our modern “Rome” as both a Christian and a supporter of our country. He sees the democratic system as historically holding to a broadly Christian ethos and worthy to be preserved despite its flaws. 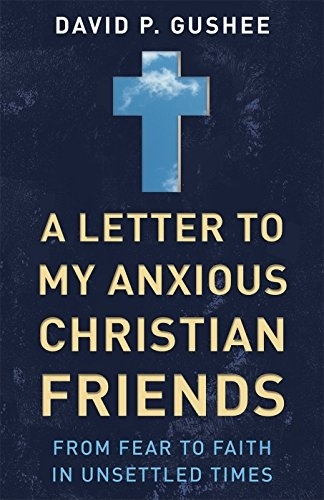 After an opening section about the general workings of our current government, Gushee goes on to offer thoughts in a pastoral and faithful way on many hot-button issues that are causing anxiety to faithful Christians. Each issue is described and assessed, and then possible actions of faithful Christians are suggested. These issues include: our two-party system, our current polarization at a cultural level, the erosion of moral discipline forcing a larger government, the role of patriotism, our long-standing racism, views of police, sexual ethics (including LGBT), abortion, immigration, gun control, the capitalist economy, climate change, the military-industrial complex, the death penalty, education of children, and healthcare. Each issue is discussed succinctly yet wisely. His perspective and suggestions are stated gently and lovingly. It’s difficult to put him in a box, which, given his critique of our country’s current polarization, is purposeful on his part. Most readers will find some agreement and some challenge. What is most helpful is the separation of Christianity from nationalism, and the call to examine our own stances and what may be behind them. I was nervous at first reading, as I am among those anxious Christians not worried about how our country is going to go forward. And I admit I was worried that I would have trouble with the conservative-sounding opening (conservative-sounding to me, at least – proving his point about polarization). However, he mostly comes out rather progressive in his view of various issues in light of the Scriptures, providing a nice balance that can be read by a broad spectrum of people. I actually agreed with much he wrote, and found his gentle, insightful style helpful. The best piece of this book for me is the reminder of the larger picture of to whom we belong, with the teachings, ethics, and values of the realm of God being our guide. I also appreciated his frank assessments of the various issues in our country. It is not a difficult read and is not long, so is accessible to a large body of readers. Gushee writes as both a devout Christian and an American. He is a professor of Christian ethics at Mercer University and director of its Center for Theology and Pubic Life. Please read important FTC disclosure statement here.